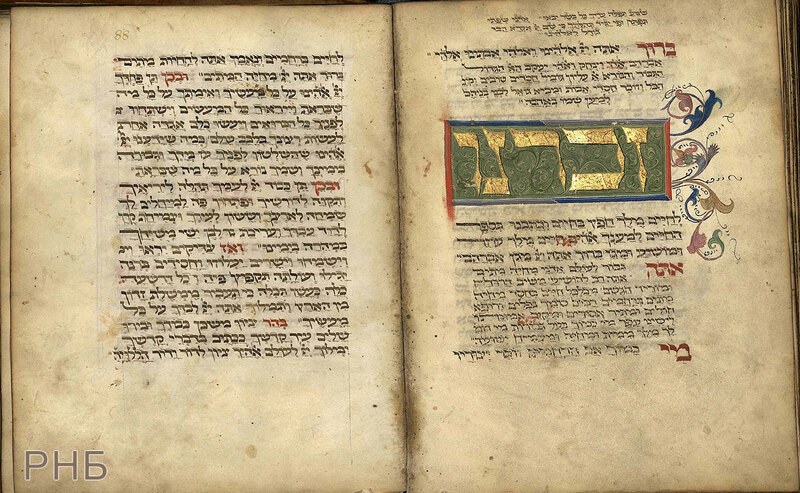 The National Library of Russia possesses the outstanding collection of valuable Hebrew manuscripts, numbering about 20,000 items, which ranks amongst the best collections in the world. 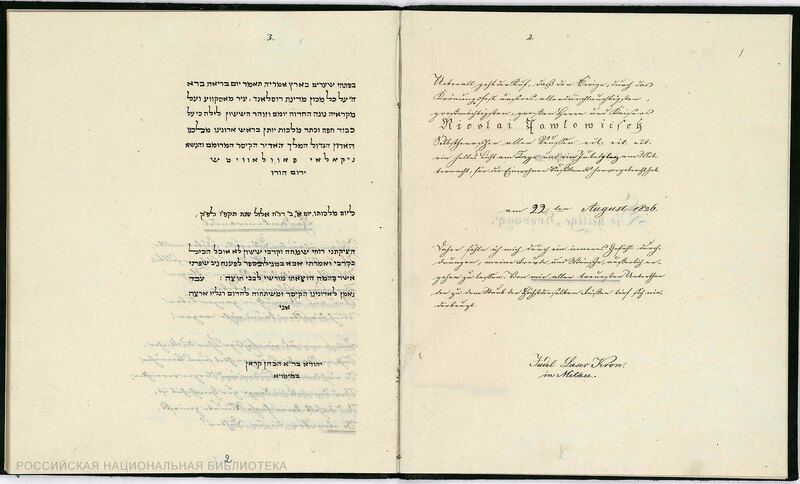 The first Hebrew manuscript - the Scroll of Esther, was received in 1805 among items assembled by Piotr Dubrovsky, a former Secretary at the Russian embassy in France. By the middle of the 19th century, the Imperial Public Library (now the National Library of Russia) had only six Hebrew scrolls and codices (manuscripts in a book form). 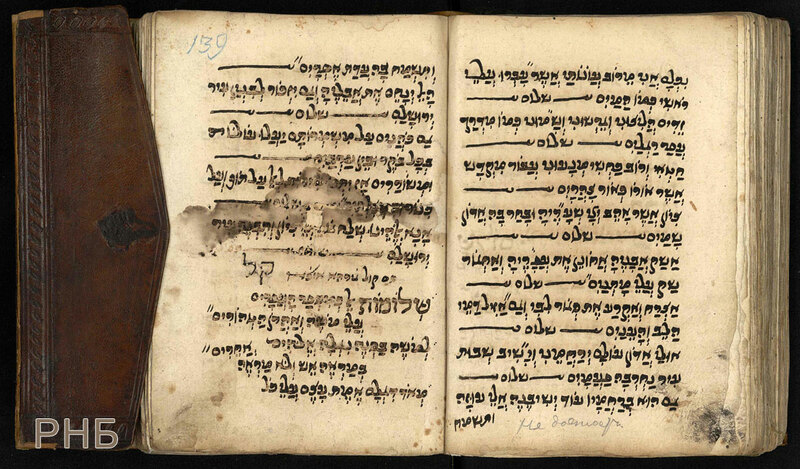 In 1858, the library acquired 30 manuscripts in Hebrew, included in the celebrated collection of the Leipzig professor Constantine Tischendorf (1815–1874), who traveled across the Middle East in 1844-1853. Money for the purchase of this precious collection which consisted mainly of ancient Biblical Greek and Oriental manuscripts were given by the Russian Emperor Alexander II. A year later, the emperor also financed Tischendorf's third trip to the East. As a result of the trip, the holdings of the library were further enriched by 29 Hebrew books, among other items. Invited to describe the Karaite works, the notable collector Abraham Firkovich discovered that ten leaves in one codex were missing and, being the happy owner of these sheets, donated them to the Library from his private collection (Fig. 24). In 1861, according to an imperial order of Alexander II, part of the library of the Hermitage, belonged to the Russian tsars, including eight Jewish manuscripts, was transferred to the Imperial Public Library. The most valuable of them is a prayer book (Siddur) dated to 1480. The manuscript decorated with gold and coloured headpieces, vegetable and zoomorphic ornaments was created in Germany. 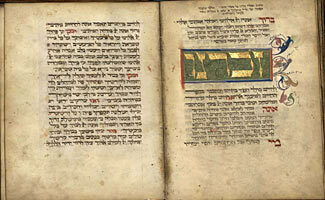 This was the first Jewish illuminated codex in the Public Library. Along with it, finely decorated odes presented to the emperors Nicholas I (Fig. 28) and Alexander II came in the library. In Hebrew. 1480. Germany. 198 fols. Parchment. From the library of the Hermitage. Acquired in 1861. Evr. n. s. 1, fols. 63v.–64. Book of selected poems of Karaite poets from 9th to 11th centuries. In Hebrew. 18 cent. 278 fols. Paper. From the collection of Constantine Tischendorf. Acquired in 1858. Evr. n. s. 53, fols. 138v.–139. 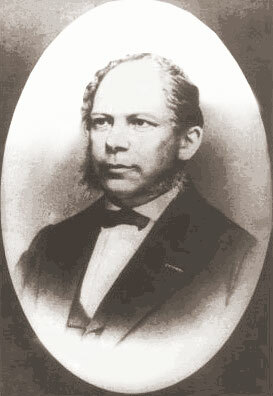 Jude Lazar Crone of Jelgava. Poem on the coronation day of Nicholas I. In Hebrew and Germah. 1826. 21 fols. Paper. Evr. n. s. 14, fols. 1v.–2.